This was my baby boy. He was 7 years old and died abut 6 months ago. I think I am finally coming to accept this and am almost out of the grieving state. I miss him so much but I know he will live on in my heart forever. Beautiful Ellen was one of the dogs rescued from Michael Vick’s dogfighting operation. She thrived under the love and care she received at Best Friends, and became a charming ambassador for pit-bull-type dogs everywhere. They had to say goodbye to Ellen recently after an extended illness, and while she will be missed terribly, all who met the friendly dog were blessed to have known her. During her final two days, Best Friends said Ellen had a steady stream of visitors, all of them stopping over to say goodbye to this remarkable dog who was so easy to love. Farewell, Ellen Belly. One week ago this very minute you began your journey to the foot of the bridge. You were the most unique basset there ever was because you are the only canine that, through an unfortunate genetic defect, caught and passed over from the Human TB bacteria. We picked you second out of the litter a little over 2 years ago. When we found out last fall you were sick, we did everything we could to prolong your beautiful little life. For a while, you got better, and we got hope. But the hope turned false. Then one day a few weeks ago, you stopped pooping then you stopped eating. One week ago, we took you in for Xrays where they found a mass in your sweet little belly. Once you were on the surgical table, they found a mass that was infused into your organs. We decided one week ago this hour to let you go. Fred, I'm so sorry. I tried to do everything I possibly could. You loved us and lived with us constantly, even while we worked. You slept glued to my side almost every night. I miss you so bad I feel like my heart is ripping out of my chest. Only 27 months. But what a great 27, eh? Your adopted mothers Mimi and Callie miss you and they say to wait for them too! About this time a week ago, they were giving you a sedative to help you relax before your operation. Mom and I waited in the waiting area, fearful for the worse, but hoping they could fix whatever it was inside you. Then we got the call, and made the decision, and let you go. After a little while they wheeled you into the room for us to say our goodbye to your physical remains. It was a horrible and bitter moment. You looked asleep. You would have thought we lost a son, the way we carried on. Goodbye Fred. Until we meet again. I've lost three beloved pets this year . . . Pics behind cut, because there are many. On May 24th, a day before my birthday, Baldrick, named after the "Black Adder" character, went to the Rainbow Bridge after a struggle with an upper respiratory infection. He was treated with Baytril, but lost the fight. He was always such a character; he'd sometimes wake me up at night if he decided that his big brother needed a power groom. He was two years old . . . Why must rats have such short lives? On October 3rd, Baldrick's brother, Scamp, joined his brother, Baldrick, at the Rainbow Bridge at the age of two and a half. He was a big rat with an even bigger heart. He was a touch more independent than his in-your-face friendly brother, but nonetheless, he was the quintessential "big squish" of a rat. 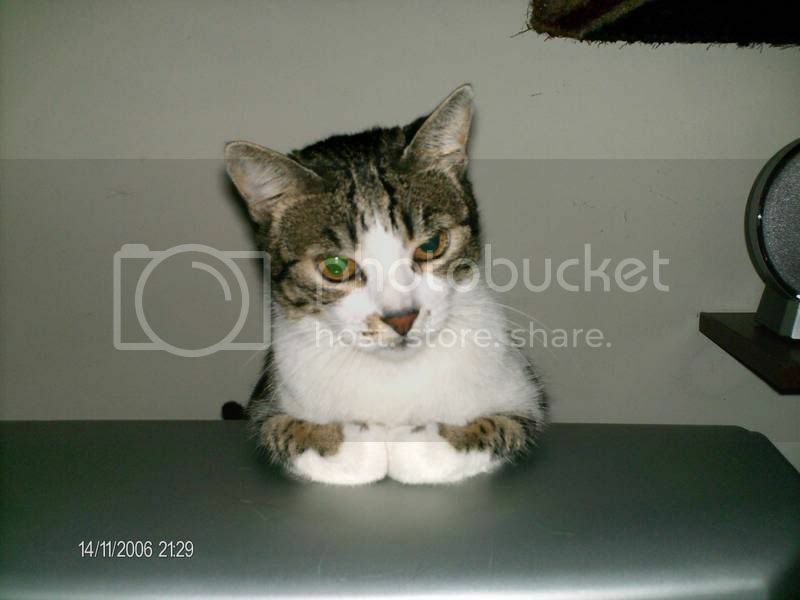 He loved sitting at the computer table, often in front of the monitor. Sometimes he'd brux so hard that I'd wonder if he'd wear his teeth right down to the gums! I lost my heart dog of ten years on the morning of October 22nd. He had a brief illness, which the vet thought was a stomach bug. Two days later, he passed away peacefully in his sleep. Words alone cannot even begin to describe how much my heart is aching. Hamish was a great breed ambassador; in his mind, all the new people he met along his many walks he was taken out on, weren't strangers, but friends. He accepted his "sister" Suki with open paws. He bravely battled a life threatening intestinal blockage surgery, and years before, a lamb allergy which almost took his life. He was diagnosed with Hypothyroidism in March, and was a trooper. a true "die hard." God, I feel so empty :( I wake up in the morning in tears; he almost always slept on my bed and would roll over for a belly rub when I opened my eyes. I miss his teeth clicking, I miss him licking the carpet, making entire conversations out of his little mutters and grumbles. He'd sound like an grumpy old man even when he was happy. He'd scream as he tore off after squirrels that dared to venture into the yard. There will be other dogs in my life, no doubt, but there will never be another Hamish. Can't believe that it's been a year. Rest in Peace, Old Boy! My cat, Lovey, was euthanized today. She had fatty liver failure. The hospital did everything they could for her, but she was too far gone. She was a beautiful and sweet girl. She was my rescue kitty. I was given her after she'd been found on the town rifle range as a kitten, with a bullet hole through the scruff of her neck. She was patchy marmalade tabby, and white. She had golden eyes, and the tips of her ears curled back ever so slightly, like a pixie's. When she was agitated or thinking the tip of her tail with twitch like a furry rattlesnake. She was a mouser too. You could tell when she was thinking or trying to be careful of things...she'd move ever so slowly and carefully, so as to not step on any tender spots on laps. She loved laps, and me. Her partner, Merlin, is lost right now, and so am I. I miss her terribly right now, and haven't been able to stop crying. She was stubborn and had some things she refused to quit doing, even though she got in to trouble for it. Like eating my bathrobe. I'd give her a hundred if she were with us, healthy and happy again. At the turn of midnight it became January 26th. That makes it 2 months without my Moon. For over 13 years, i always knew and always said it, that when time would come for me to lose her i would die too. If not physicaly, then no doubt emotionaly. And altough i had been in an emotional numbness for years, she always kept me going. But the day she left me, i left with her. The inner most of me. It has been terribly hard to carry on without her. Either she is missing when i need to let out my heart and soul to her - she was always the one living being i could trust undobtably to keep and carry me. OR she is not there waiting for me when i get in bed, after jumping high to get to her spot before me and then promptly curl up in my arm so we could sleep hand in hand. She is just not there. And nor am I. We have since lost the last of the sirian hamsters we had. We got a new cat right after she was gone (he needed saving, and so did we), but still... she's not here. I still light at least 2 candles a day by her picture. There have been numerous tributes from strangers, that did help soothe me a little, but no... she's not here. It will never be the same. I carry on in some sort of auto-pilot, believing it's her carrying me, still, from somewhere. The pain grows, rather than leaving. For 2 months i have been trying to gather up courage to read and post on the 2 pet-grieving communities i joined with this new LJ ID. I havent had the courage yet. But today I must. I wanted to write something meaningful, but have the feeling I am failing at that, almost as much as I failed at saving her, and ended up having to ok the shots that took her away from me. No, that was far worse. The worst thing i ever had to do. Senseless as this may seem... I just want to pay tribute to my Moon, 2 months gone. I miss her so much it hurts and makes it very hard to breathe and carry on with dry eyes. 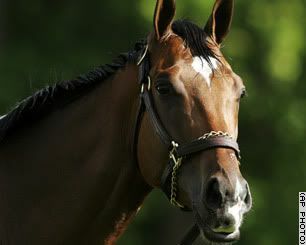 Kentucky Derby winner Barbaro was euthanized today after he suffered complications from his breakdown at last year's Preakness. I am saddened by this news. Barbaro fought so hard for his life, but it was not meant to be. My condolences for anyone who loved this animal. I miss Cinnamon a lot. She came to live with us when she was about 1 or 2 years old. We found her wandering around our local high school. My husband was rehearsing there. He was Ali Hakim in our local theater's production of Oklahoma. This cute dog was following me. Our town’s high school is located near a busy road and I was afraid that she might be run over, so I brought her home with me. I didn’t even think that I may have a problem with my other dog at home. 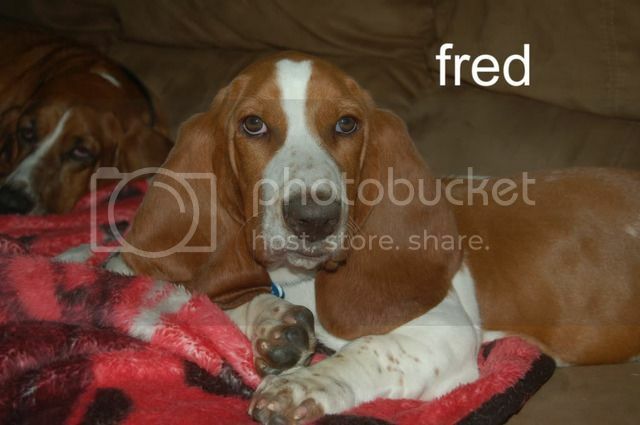 My dog Ginger (a purebred basset hound) was 6 years old. Basset hounds are accepting dogs and there was no problem introducing the new dog to her. My children were ecstatic. They were getting another dog. I warned them that this dog was not ours. I was keeping it until the rightful owner would claim her. I put up ads everywhere. I informed all the local vets. No one claimed her. After 3 months, she became ours. We named her Cinnamon Amber. She became our second spice. Life was not that easy with the dogs at first. There was jealousy. Cinnamon beat up Ginger a few times. Ginger had an L.L.Bean bed. Cinnamon had a makeshift bed. I told hubby that Cinnamon wanted one as well. “Sure,” he said. “She told you that? Come on, stop anthropomorphizing.” Cinnamon beat up Ginger to such an extent that we had to go to the vet have her ears stitched up (10-12 stitches). That's when I decided to buy another L.L.Bean bed. We never had another fight. Cinnamon became hubby’s best friend. She was my greatest pal. When Ginger died, Cinnamon became the matron dog of a large pack: Coriander, Basil, Cocoa, Zack Curry were her charges. When Coriander left for the Bridge, Caraway was her newest pack member. Sadly, Cinnamon followed Coriander seven months later. She lived with us 14 beautiful years. She was 16. Her downfall began on Friday morning on 8/26 when she started coughing. We thought that she may have lung cancer. But, since we don't smoke, the vet did not think that was a possibility. The vet thought that she may have caught a bacterial infection from her rotten teeth. She sent us home with some antibiotics, and we thought our troubles were over. Cinnamon's cough got worse and she started throwing up as well. We thought that she may have had a reaction to the antibiotic and the vet told us to let's wait out the weekend, and if there was no improvement, they would x-ray her. I started giving Cinnamon boiled chicken with rice and that seemed to help her digestion, but not her cough. So, on Tuesday we took her to be x-rayed. They found out that she had megaesophagus. (Her esophagus was larger than most dogs’ esophagus.) This we were told is not unusual with dogs that have a thyroid conditions (which Cinnamon had). We were told to give her small meals, more frequently (not a hard task). I asked them whether I should continue giving her my boiled chicken and rice. They told me to just give her the regular dog food that we usually give her, but add water to it to make into a gruel-like consistency. Happily, we brought her home. We prepared Cinnamon’s first gruel meal. She took one bite, coughed, made a 90 degree turn, her face froze in a “smile-growl” state. She took two steps, fell under my bed, and started shaking vigorously. It looked as if she was dying. I realized just then that she was having a seizure. It took a few seconds. It felt like an eternity. When she finished, she tried to get up. I helped her; she fell again, and went through another seizure. This time, she even started foaming at the mouth. This one also, lasted a few minutes. I called the vet. They felt that she may have had a seizure due to the stress of being away from home. I didn’t really buy it. But that was all I had. Cinnamon was exhausted. I put a pillow underneath her, covered her with a blanket, and let her sleep it off. An hour later she came downstairs to join the family. It seemed as if the vet was right. I started to feel that maybe I should have given her the chicken meal and not the gruel. Maybe she choked on the gruel. So, I gave her some chicken, and she ate it. And she didn’t seem to have a reaction at all. Her eyes were a bit disoriented. But then again, she did go through a tremendous ordeal. Within a half hour she threw up again, and again, and again. From this moment on her ritual was as follows: Rest for half hour, drink, and throw up. She was so weak, that she was unable to go up the stairs. She stayed in our hallway. I stayed downstairs with her. I slept on the couch, placed her near me, put a pillow underneath her head, a soft blanket underneath her body, and a warm blanket over her body. I knew that this would be our last night together. I said my goodbyes, and whenever she threw up, I cleaned her up and her area, gave her some sugared water for strength, and hoped that she could get some rest. She slept 2 hours, then 1 hour, then 2 hours, and then 1 hour. I staid home with her. My boss was nice enough to allow me to work from home. At about 8 a.m. Cinnamon looked as if she was ready to fight for her life again. I gave her her medications; she walked over to the kitchen, collapsed, and had a diarrhea. (Poor baby, probably wanted to go out, but was too exhausted to make it.) I cleaned her up. Propped her head with a pillow, put a soft blanket underneath her, and called the vet. They came with the stretcher and took her to the hospital. They said that she may have been too dehydrated, and they would give her IV fluids. That afternoon, we found out that she had two more grand mal seizures. (Her first two seizures at home were grand mal seizures.) 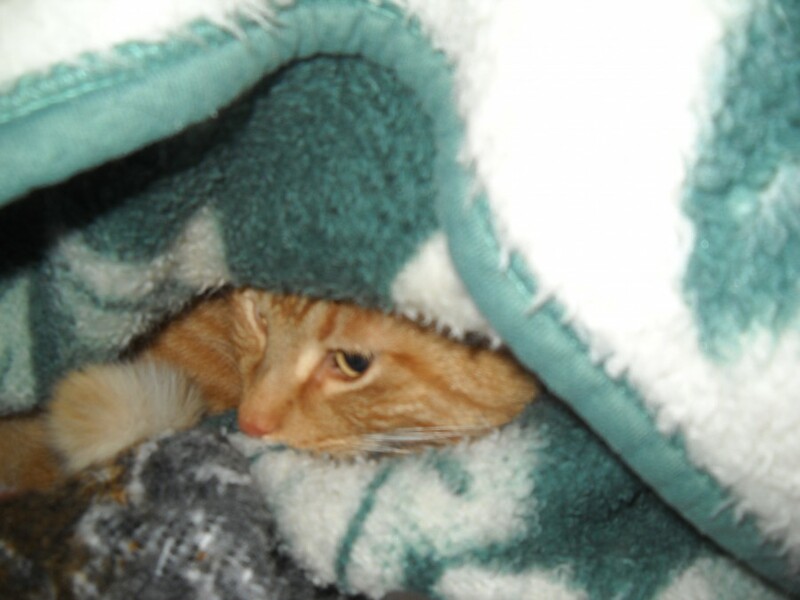 The vet called a neurologist vet, who surmised that the symptoms that Cinnamon was having (along with the megaesophagus) were that of a tumor growth located both in the brain and the brain stem. We could treat her with prednisone and phenobarbital, but the prognosis was not good at all good. It was time to send her to a better place. So that night, at the vet, we had our final good-byes. She gave us great 14 years. May everyone’s dog give as much love and, for as long or even longer, as this one has for us. 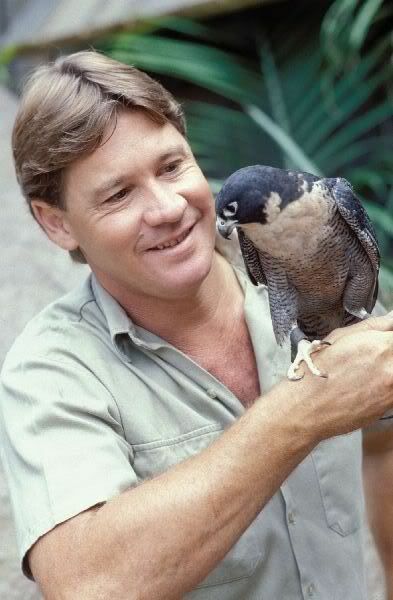 On September 4, 2006, the world lost a great person: Steve Irwin. I think that he deserves to be eulogized at this site because Steve was the world greatest rescuer of crocodiles. He worked hard to make people understand the beauty that these animals that many are repulsed by have and at the same time, he took heroic measures to transport crocodiles that were endangering human beings back to their natural habitats. Steve did not resort to sedatives, he used cunning when he caught these gigantic reptiles. The animals were not harmed. He'd rather be harmed than harm the animals. I true trooper he was. Ironically, Steve's life was shortened by the barb of one of the most docile animals in the animal kingdom: a stingray. A stingray that mistook Steve for an enemy and backed into Steve's chest, hitting him on the heart. Death by stingray is rare. Unfortunately, Steve was one of the few. I am here to offer my condolences to the world for losing such a great individual. I feel terribly for his wife, daughter, son, father, and the rest of his family and friends. May they find comfort in the years to come, and may Bindi, his lovely daughter, follow in his footsteps, as she already seems to do.